Canine units often play a crucial role in law enforcement, military and security operations. Proper training of the animals is essential for ensuring optimum performance — and for protecting their human handlers. As part of our extensive inventory K9 gear, High Noon Holsters is proud to offer a high-quality K9 muzzle that will meet your dog training needs. 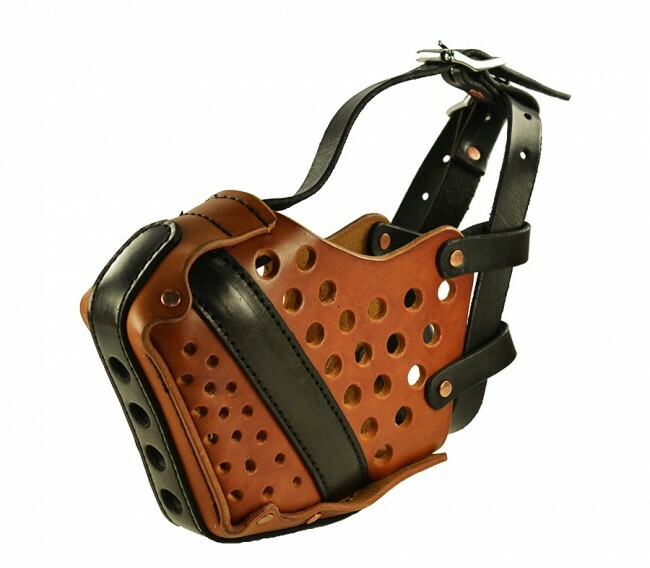 Our working dog muzzles are the best on the market. 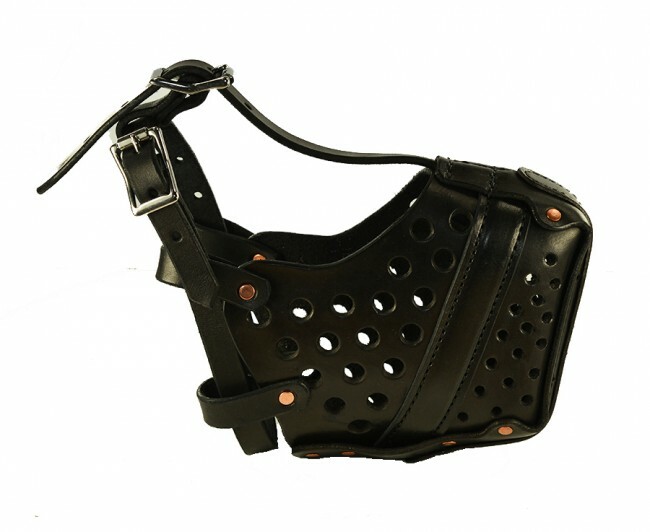 Each muzzle is made of premium cowhide leather, made by hand. Our design takes into consideration the utmost safety for you and your dog during training. 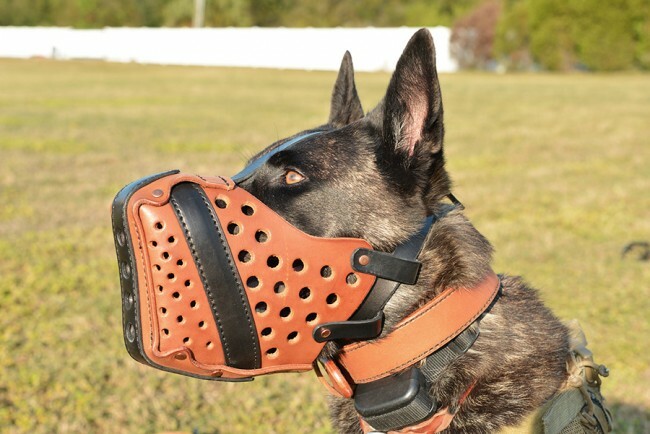 Our muzzle is explicitly designed for training. Reinforced metal front for combative work. Reinforced sides to keep the muzzle from collapsing during training or actual work. 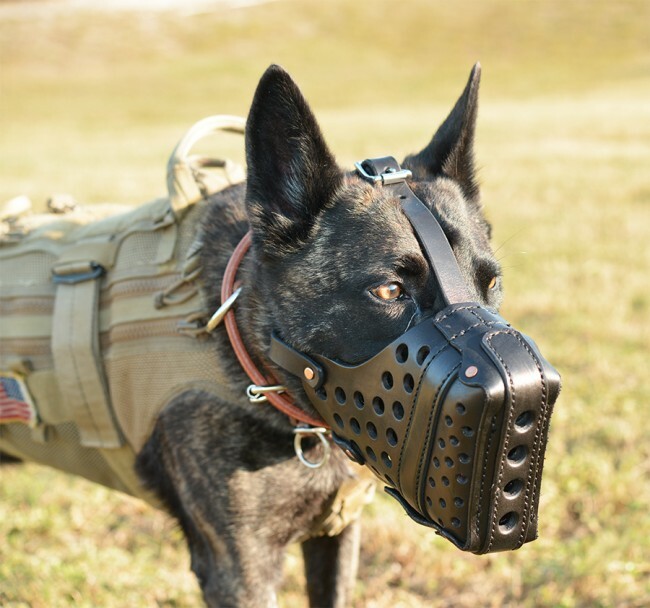 This muzzle can be used for combative work yet is ventilated enough to be used for transporting your dog when a muzzle might be required. Our muzzles offer plenty of air holes for ventilation and detection work. 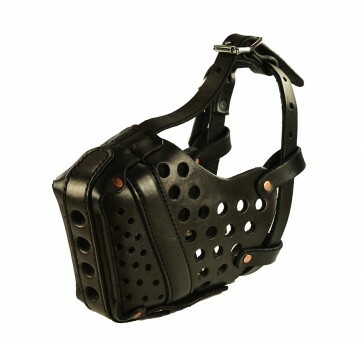 The holes sizes are designed to keep fingers from accidentally finding their way into the muzzle. 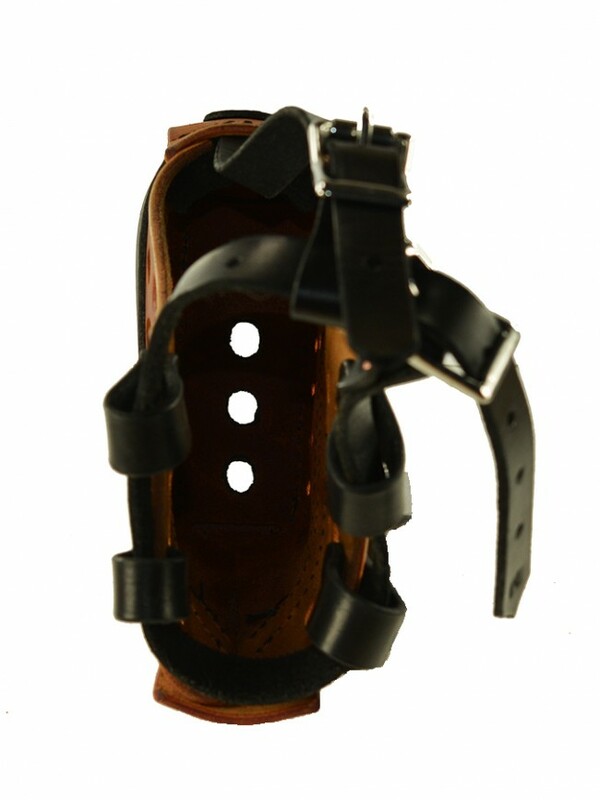 The muzzles also come with a pad under the top part of the muzzle to provide comfort when worn during training and work. Stainless steel buckles offer the best hardware for long-lasting use. 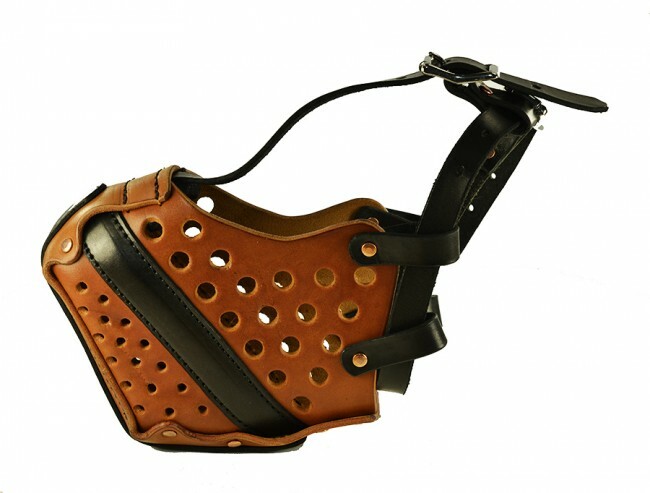 We pay attention to detail with our muzzles by delivering the highest quality in craftsmanship. Our muzzles are made right here in the USA and are used by our military’s most exceptional elite K-9s. Sizes are based on muzzle length. To find out the measurement for your dog, measure from the end of the nose to the bridge of the dog’s muzzle just under the eyes. Also, measure from the jaw bone near the base of the ear to the nose. Between these measurements, you can determine which muzzle will best fit your dog. Like every product we offer, our K9 muzzles comply with our exceedingly standards of quality and reliability. It's all part of our quest to achieve 100% customer satisfaction. However, we recognize that a specific item might not meet your expectations at first. In most cases, we can rectify the issue quickly via phone or email. But if you're still not happy, you can return the product with 14 days of receipt for a refund — no questions asked. Here at High Noon Holsters, we recognize you have better things to do than wasting valuable time attempting to navigate cumbersome e-commerce sites. Our redesigned website makes locating and ordering products a breeze. You'll find it simple to build your "wish list" and complete our streamlined checkout process. You can even choose from a variety of flexible payment options including Discover, MasterCard, Visa, American Express and PayPal. We believe that part of being a customer-focused company is ensuring that our customers receive their orders as quickly as possible. When you purchase an in-stock item from us, you can expect to receive it within one to five days. Of course, custom goods take longer to produce, but if you elect our rush service, you can receive your item in only seven to 10 days. Take your organization's dog training and handling capabilities to a higher level. 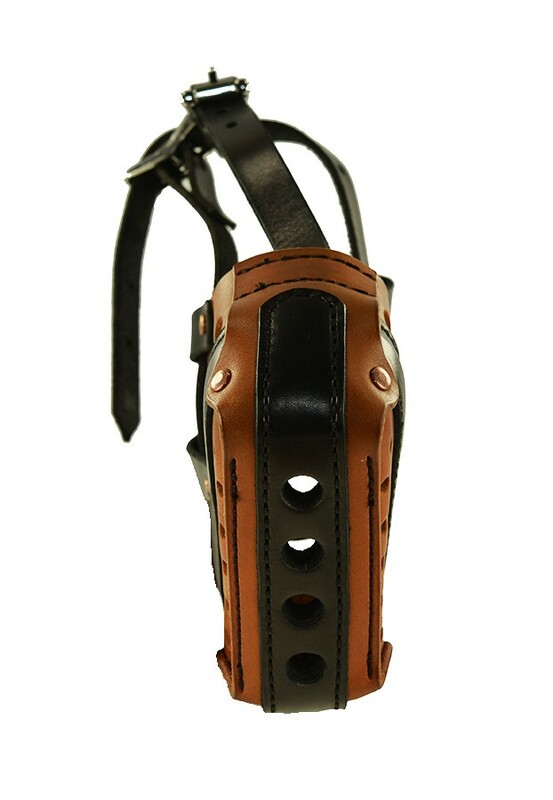 Order your top-quality K9 muzzle from High Noon Holsters today! Please don't hesitate to contact us if you have questions or need additional information.